Aluminium, boron, gallium and indium. antimony, arsenic, bismuth and phosphorus. Atom consist of the three stage of the particles namely electron (outer most of the orbit), and clustered neutron and proton. We cannot visible the atom, the radius of the atom is 1A0=10-10m. The force between two charged bodies was studied by Coulomb in 1785.
k =1/4πε0, where εo is the permittivity of free space (i.e., vacuum) value of ε0 is 8.854 × 10-12 C2 N-1 m-2. George Simon Ohm established the relationship between potential difference and current, which is known as Ohm’s law. At a constant temperature, the steady current flowing through a conductor is directly proportional to the potential difference between the two ends of the conductor. Kirchhoff current law states that the algebraic sum of the currents meeting at any junction in 7 a circuit is zero. Kirchoff’s voltage law states that the algebraic sum of the products of resistance and current in each part of any closed circuit is equal to the algebraic sum of the emf’s in that closed circuit. This law is a consequence of conservation of energy. Resistance of a conductor is defined as the ratio of potential difference across the conductor to the current flowing through it. The unit of resistance is ohm (Ω). Resistance – The electrical resistance of an electrical conductor is a measure of the difficulty to pass an electric current through that conductor. The inverse quantity is electrical conductance, and is the ease with which an electric current passes. Length of the conductor (L). Specific resistance of the nature material (Rho). Cross sectional area of the conductor(A). The resistance is directly proportional to the length. If the conductor length is longer then resistance is high so current flow is less. Cross Sectional Area is inversely Proportional Resistance : R ∝ 1/A (or) R ∝ A-1. Copper material ρ (of copper) = 1.7 x 10-8 Ωm (17 E-9 or 17 EXP-9 when entering it into your calculator in Standard Form, depending on which model you use), L (Length of cable) = 7m and d (Diameter of cable) = 0.5mm(500 E-6 or 500 EXP-6 metres in Standard Form. so Find the resistance?? A wire 12m long has a resistance of 1.5 Ω. What will be the resistance of 16m of the same wire? A sample of copper wire of 0.2mm radius has a length of 5m. If the resistivity of the copper is 1.7 x 10-8, what would be the resistance of the wire? What is the resistance of 100m of copper wire, having a diameter of 1.024mm? The resistance of a 50m length of wire is found to be 0.83 ohms. Its diameter is 1.15mm. What is its resistivity and from what metal is it most probably made? What is the length of a copper wire having a radius of 0.25mm if its resistance is found to be 0.2 Ω? Eg: water flow in a pipe line. We define voltage as the amount of potential energy between two points on a circuit. One point has more charge than another. This difference in charge between the two points is called voltage. It is measured in volts, which, technically, is the potential energy difference between two points that will impart one joule of energy per coulomb of charge that passes through it (don’t panic if this makes no sense, all will be explained). The unit “volt” is named after the Italian physicist Alessandro Volta who invented what is considered the first chemical battery. Voltage is represented in equations and schematics by the letter “V”. Consider a water tank at a certain height above the ground. At the bottom of this tank there is a hose. A PN-junction diode is formed by joining together n-type and p-type silicon. In practice, as the n-type Si crystal is being grown, the process is abruptly altered to grow p-type Si crystal. Finally, a glass or plastic coating is placed around the joined crystal. The p-side is called anode and the n-side is called cathode. When the anode and cathode of a PN-junction diode are connected to external voltage such that the potential at anode is higher than the potential at cathode, the diode is said to be forward biased. –In a forward-biased diode current is allowed to flow through the device. •When potential at anode is smaller than the potential at cathode, the diode is said to be reverse biased. In a reverse-biased diode current is blocked. Transistor can be used as a switch, amplifier. Example Ic = 0.5 to 1.5mA, Ib= 20-40uA, what is β=? 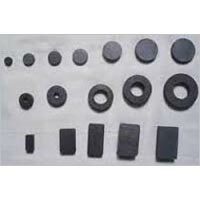 Electronic filters are circuits, which perform, signal processing functions, specifically to remove unwanted frequency components from the signal, to enhance wanted ones, or both. The cut-off frequency is defined as the frequency at which the voltage at the output of the filter is 3dB below the input. In other words the output signal is 70.7% or 1/sqrt(2) below the input signal. What is Oscillator? : Oscillator is a heartbeat of every microcontroller design. Crystal Oscillator is used for demand precise timing over a wide temperature range. Usually (as far as i know, always) a resistor capacitor circuit. Relay is a electromagnetically operated switch. Relay is an automatic switch. it working an electromagnetic field. 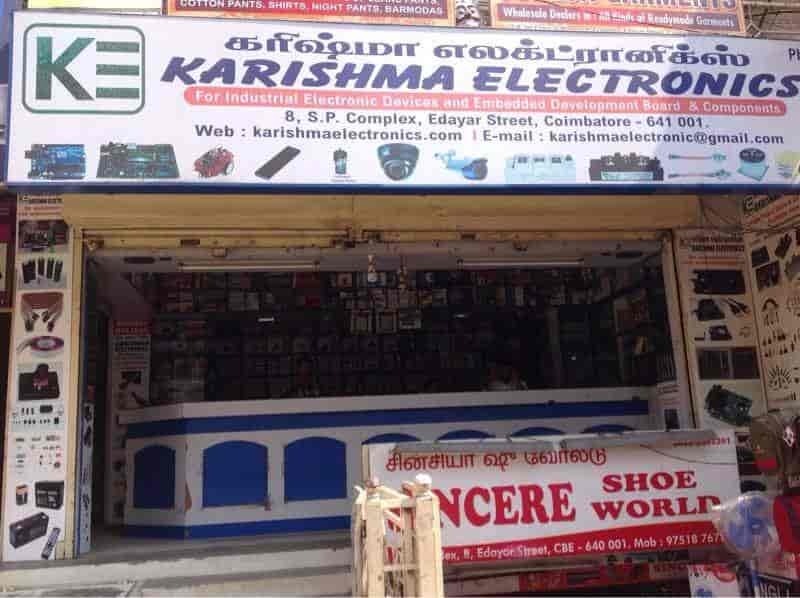 all electronic circuit is ex specially design and fabricated two switch on or switch off the one or more device. all electronic circuit has an end width relay. What is this symbol mean of Pb? RoHS (Restriction of Hazardous Substances) is a European Union directive that restricts the use of lead, mercury, cadmium, chromium (VI), PBBs, and PBDEs in electrical and electronic equipment as of July 1, 2006. 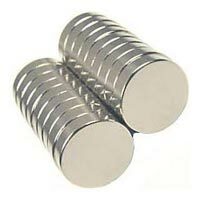 You can buy All kind of magnet here like Bitter Electromagnet, Dipole Magnet, Electro Permanent Magnet, Horseshoe Magnet, Spring Magnet. 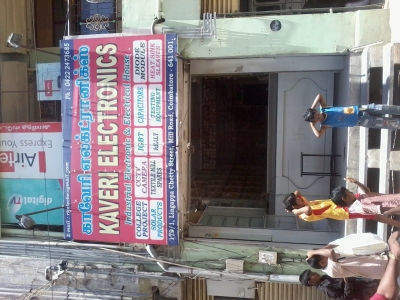 Address: Shop No.150, Sadar Patrappa Rd, Dodpete, Nagarathpete, Bengaluru, Karnataka 560002. Owner Siddiqali : 98866 83674. Fritzing is tool for create a electronics projects block diagram, circuit connection diagram.